Not all aspiring writers want to live the reclusive life of J. D. Salinger. Many, if not most, a happy to interact with their peers where they can get exposure for their work and help with their craft. Penned is just that sort of environment. It's a membership website with mobile versions for iPhones and Androids that's designed to be a platform for writers and bloggers to create and share their work on-the-go, while allowing them to interact with others. 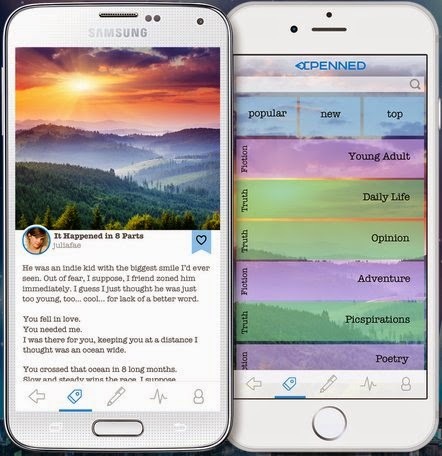 The mobile apps let writer members create stories on their phone, combine chapters to form a book or blog, follow other writers and add and receive comments. Here's how writer Danica Cornell described Penned in her blog: "We are a platform for writers and readers to create, interact, and share their work with others. We are an ‘Instagram, Twitter, and Facebook’ for writer’s combined, creating the ultimate community. We have thousands of readers, aspiring writers, and a select few of authors who preview their novels to our readers through the application." You can learn more about the community on the Penned website and Twitter page. The mobile apps are available in the iTunes App Store and the Google Play Store.